Launched in 2015 by two sneaker designers Northampton Sneaker Co set out to do something a bit different. We wanted to combine the street style, light weight and comfort of sneakers with the incredible handcrafted quality of traditional British shoe making. 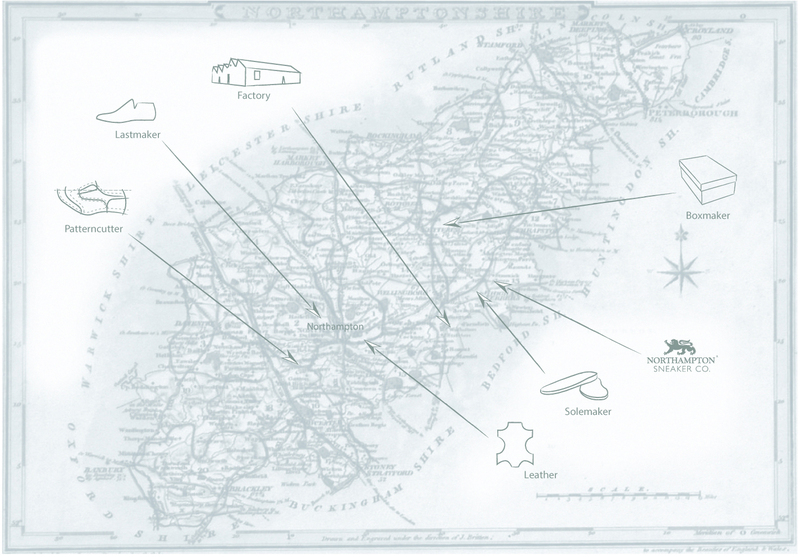 Our mission is to take Northamptonshire Goodyear Welted shoe making to a new generation. To the sneaker generation. Our sneakers are built differently. They are the polar opposite of fast fashion. They are built to last. Every pair takes around 40 hours of meticulous handcrafting and hand finishing from the finest materials, involving around 200 separate operations. 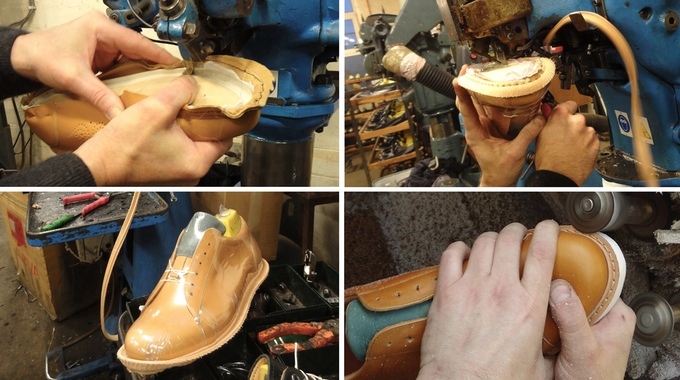 NSC sneakers are Goodyear Welted in Northamptonshire, England. This traditional technique involves stitching the sole and upper together rather than simply glueing. The key advantages to Goodyear Welting are it's strength and comfort. The technique originates from a time when shoes were not disposable, but reparable. 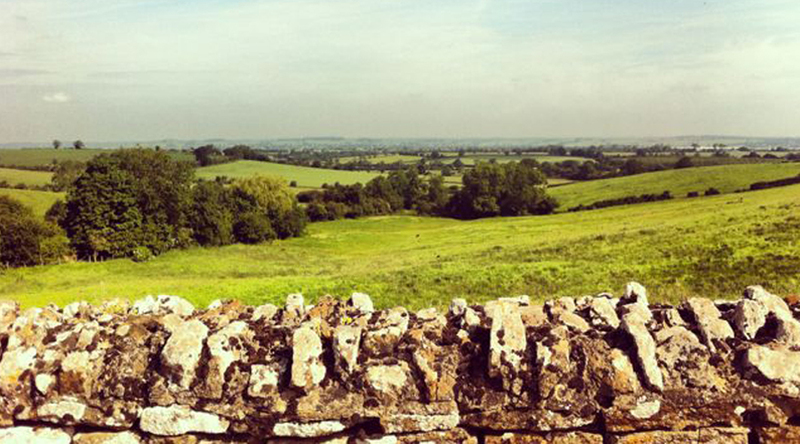 Our product is created from start to finish in Northamptonshire, England by incredibly skilled craftsmen and women. We firmly believe in supporting local jobs and local suppliers. All footwear is heat formed around a mould shape called a 'last'. 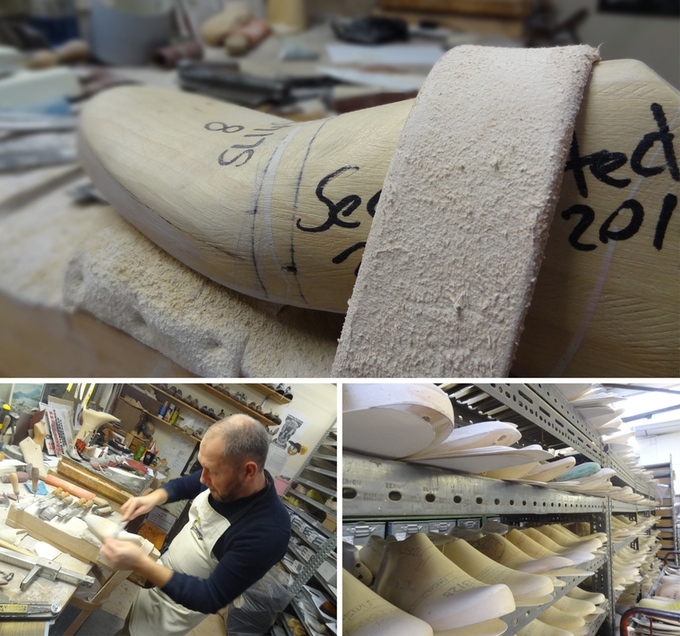 We spent time with a local master craftsman at Springline Lasts Ltd getting the unique shape of our product just right, and exactly like a sneaker. We use the same incredibly beautiful high quality European calf leather and high quality suede that all the Northamptonshire English shoe brands lavish their products with. Our sole tread is supplied by Vibram of Italy. We chose Vibram as they are regarded as the very best. Vibram's combination of comfort, grip, and light weight is unmatched. Northampton is famous for being the home of the finest quality men's shoes in the world. Located right in the heart of Great Britain skilled workers in factories all across Northamptonshire make incredibly beautiful shoes for brands that have become world renowned. Northampton Sneaker Co. use this rich resource to create a sneaker that is built to last. Simple, elegant, everyday wearable from boardroom to bar. Branding is minimal. We let the quality do the talking. Construction is entirely from European leather and calf lined all the way to the toe. No expense is spared. Sole is attached to the upper via a storm welt, also real leather. Tread is Vibram. Extremely light and comfortable. Tongue and collar are padded like a sneaker. Details like delicate punched 'brogue-ing' are a nod to our factory's awesome shoe making skills.